In this article, you will see an excellent application which can help you conveniently work with pdf document. The name of the application is PDF Editor. 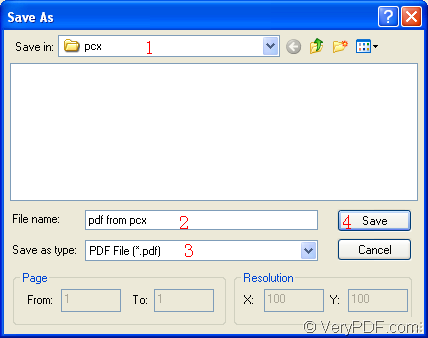 From its name, you may know that this application can be used to edit the pdf document. Yes, with the help of PDF Editor, you can edit the contents of the input pdf document, including the text, links, draws or other information. You can also add comments, annotations for the documents. At the same time, PDF Editor is also a document converter which is able to convert many formats file to pdf document or convert the document of pdf to various formats of images. 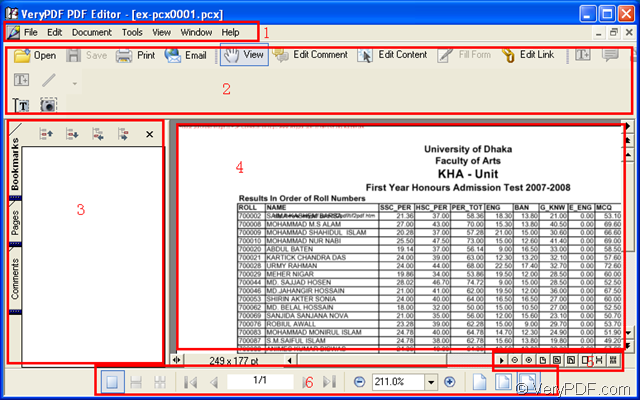 You will see how to create the document of pdf from pcx format image. If you want to know how to fulfill this kind of conversion, please see the following contents. Before using the application, you need to download it at http://www.verypdf.com/pdf-editor/pdfeditor_setup.exe and install it on your computer by following the installation wizard. This is only for the evaluation and if you want to use all the functions of the application without any limitations, you can purchase any licenses of it by visiting its homepage at http://www.verypdf.com/app/pdf-editor/index.html. Menu area: Show menus of the PDF Editor. Toolbar area: Show the function buttons for the application. Navigation Pane: Supplies three Tab Palettes for showing the information of input document. Document Pane: Show current page of the input file. Status Toolbars: Show tools which allow you to resize the page and change the pages displayed at the same time. Navigation and Zoom Status Toolbars: Show tools which allow you to resize the page and navigate through a document. Click “Start” in the menu and click “Open” in dropdown list. Click “Open” button in the toolbar. Use the hot key “Ctrl”+ “O” combination on the keyboard. 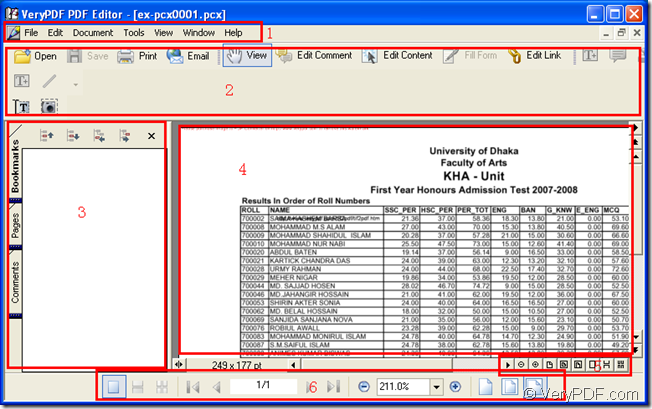 Then you will be able to create the document of pdf from pcx format image. Please click “File” in menu area and click “Save as” in dropdown list to open “Save as” dialog box in which you can make some changes to the target file as follows. Please see the dialog box in Figure 2. Please choose the location for output file in “Save in” dropdown list. You need to input the name for output file in “File name” edit box. Just choose “PDF File (*.pdf)” as output format in “Save as type” dropdown list. 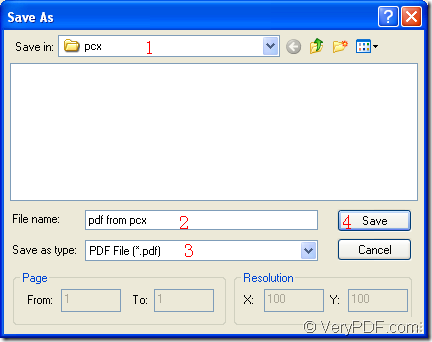 Click “Save” button to create pdf from pcx image. Several seconds later, you will see the target file in specified location and you can browse it with some kind of PDF viewer. How to add Wingdng2 image as annotations to PDF files with VeryPDF PDF Editor? How to print txt to pdf? How to type on PDF document without Adobe acrobat 9?